Claim Your Child Sales Tax Rebate Now! Wisconsin Parents, claim your Child Tax Rebate now! Get $100 per eligible child back in your wallet today. File your taxes for FREE at myfreetaxes.com! MyFreeTaxes is a free, simple, and safe way for individuals or households earning less than $66,000 to file federal and up to three state tax returns. There have been many important changes to credit reports this spring, with more changes coming in fall 2018. 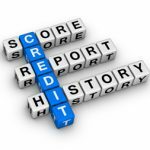 UW-Extension’s Check Your Free Credit Report campaign can help you keep track of these changes and also make the process of ordering your free credit reports as easy as possible. Anyone can sign up to receive an email reminder from UW-Extension three times a year—on 2/2, 6/6, and 10/10.